I have to admit: I’m still consider myself a newer vegan, especially since vegan living encompasses much more than what sits on our plates. I see myself as this “accidental expert” that has been based mainly on my experience, self-education, and leaning heavily on the real experts out there. With the opportunity of acting co-host on weekly LA Talk Radio show, I’ve had the privilege to meet some of the biggest influencers & real experts in this plant-based movement, including someone else who started from scratch a lot like I did. This was a long-time, dream-come-true moment getting to meet our special guest, Amy Rebecca Wilde. She not only started a few notable social media & IRL movements, but she’s an activist turned entrepreneur, living the vegan lifestyle for nearly 17 years. Amy spent a lot of her childhood volunteering at pet adoptions, even protesting outside the Los Angeles Zoo, and has also been the one behind the Fur Free LA Campaigns which have been successful lately in banning fur in LA. 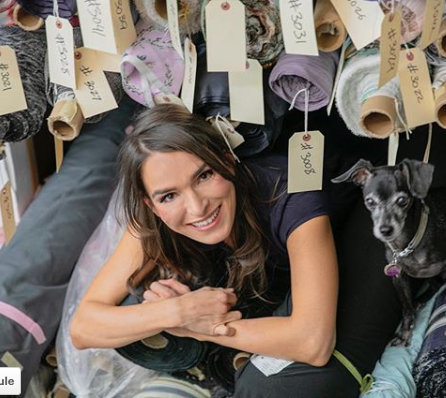 Currently, she owns and runs the popular Venice Beach boutique Vegan Scene, and in 2017 launched her own vegan and ethical fashion line called, Legends and Vibes. 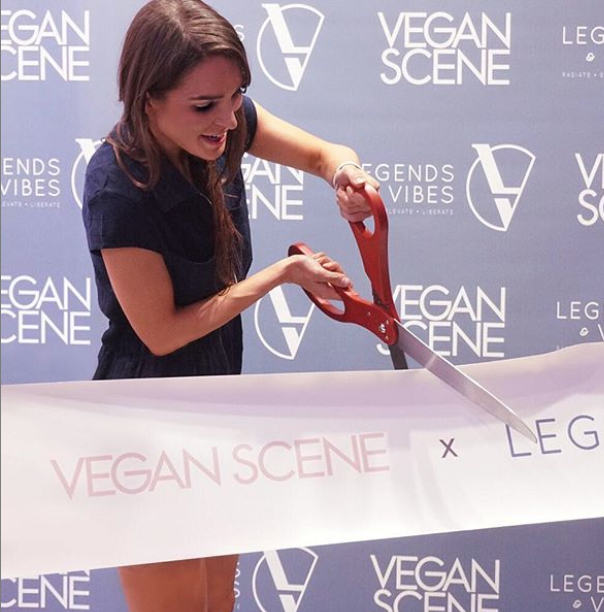 Amy is the face behind the popular Instagram account, @VegansOfIG where she's taken it upon herself to organize a meet up tour though the account, connecting like-minded activists and vegans and educating the public. TVW: We’re so glad to have you on! 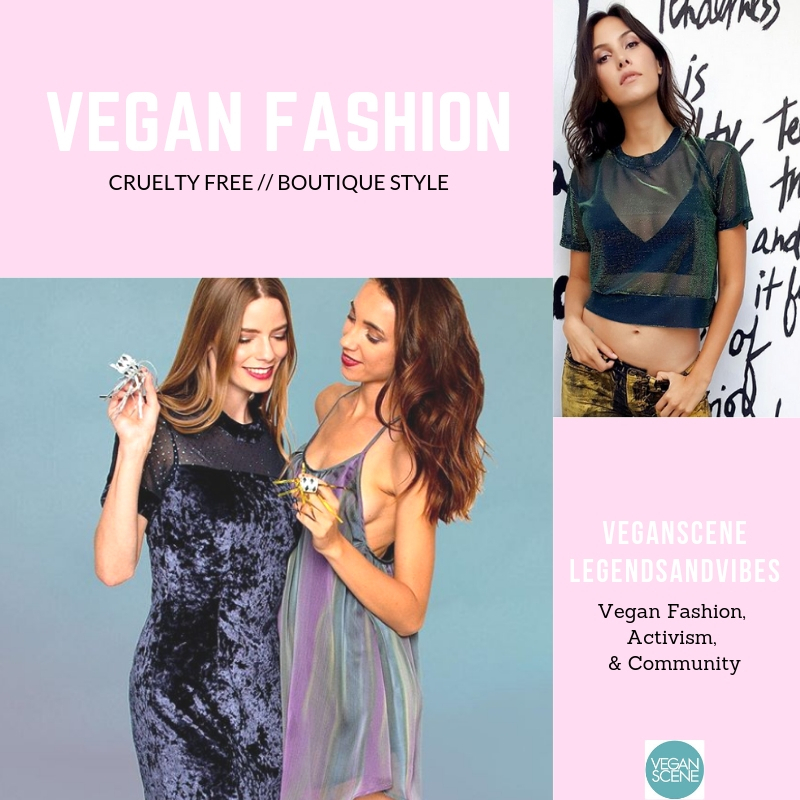 I would first love to hear about you, & your vegan story, as well as what has inspired you to launch these vegan fashion lines & companies. Amy: “Well thank you so much for having me! Yeah, so I’ve always been an animal lover from an early age. Everything that I did was finding a way to not just have animals around, but to be able to take care them. So for me, the natural conclusion, once I had learned about vegetarianism & then veganism, was to make the switch asap. From there I made it my life’s path, whatever I was follow, to use veganism as a way to influence positive change. And for me, [in regards to what inspired me], it’s a really simple answer, really: it’s realizing that something has not been done yet & it can be done, I just need to make sure it happens, and with that just going forward with starting it. 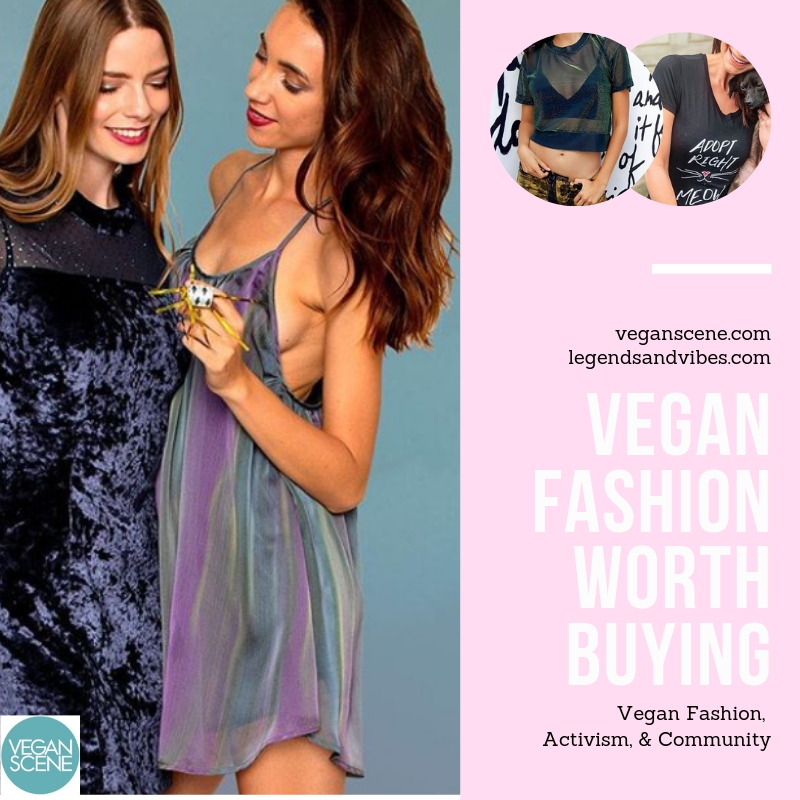 The simplest answer for starting a vegan store was, I like to shop, and I was having trouble finding a place that was a 100% cruelty-free boutique of curated, cute stuff that I didn’t have to worry about. There so much to talk about when it comes to a plant-based diet, as veganism expands into every aspect of our lives and how much animals are not considered beings, [in the eyes on most] they are just materials. I’m so excited that a plant-based diet has come so far in the last few years but of the real push that we need to start making is for the entire lifestyle which means being conscious of the materials that we are using. TVW: After reading your bio, I wanted you to tell the story about how Vegan Scene came about as well as the community that you’ve created. We’ve talked about this before on the show about how we [vegans] need to create community out of this movement. What is your take on this important topic? Amy: “Yeah, I will say that I went vegan back in 2002, so I didn’t really have any vegan friends until about 8 years later. That was a big part of social media and being able to connect with more people and spreading the awareness that comes with that. Not only was I able to connect with other people, but I was able to use what I had known as my experience to help others. For me, I am committed to the cause 100%, but I can see how not having that important connectedness that comes with community, that support system, can be a deterrent. [I] encourage others who become interested to get involved in veganism, as it is really important to make sure you provide a community & support. That could be as simple as sharing a recipe or giving some advice. I [also] like to go out and meet people, and one of the things that people were talking about was having events so I started doing Meetups too. It was just in that LA area. There were a lot of people commenting on having events at certain places. So I setup a tour around the country doing these events, and I brought my dog with me too! I got to meet vegans around the country and it was one of the best experiences I ever had. Which was illuminating into how much of a vegan community we have out there, but also the lack of vegan spaces. That’s when I created the first brick & mortar space to house vegan events and house a fashion boutique, Vegan Scene. Want to hear the rest of the interview with Amy Rebecca Wilde? 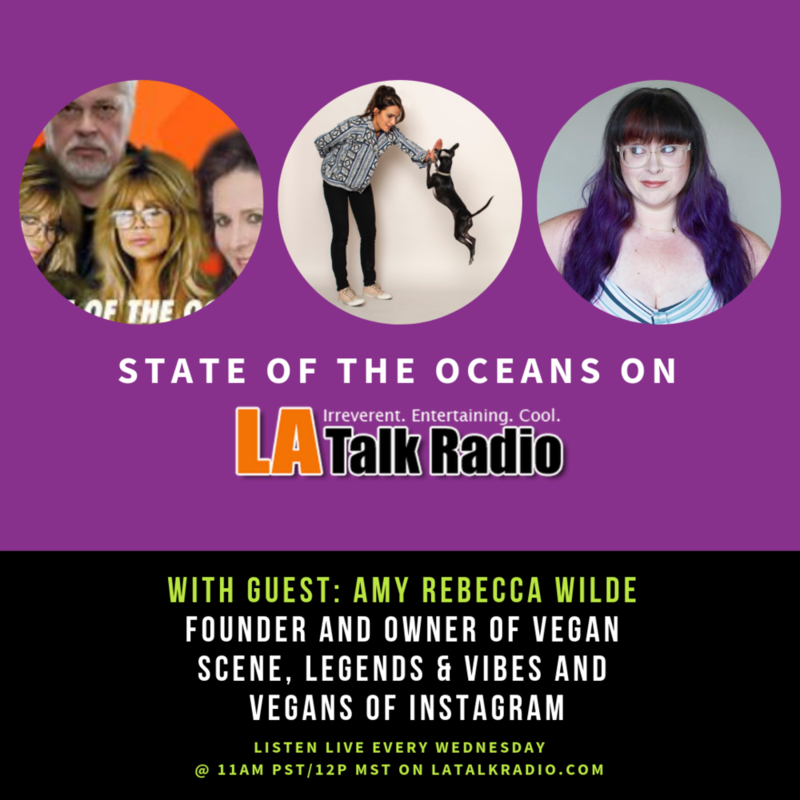 Catch the rest of the recorded conversation by clicking HERE, and follow Amy Rebecca Wilde on Twitter, Instagram, and visit the websites for Legends & Vibes and Vegan Scene. Want MORE relatable vegan content? Sign up FREE to the VIP list.